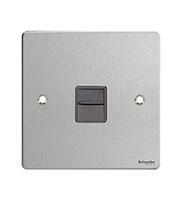 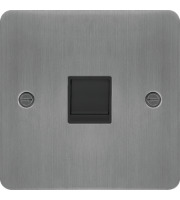 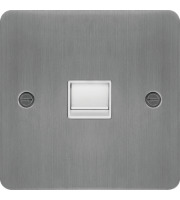 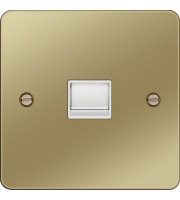 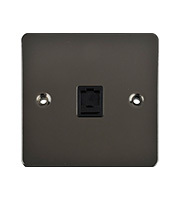 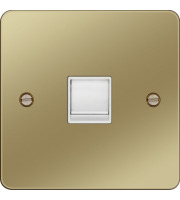 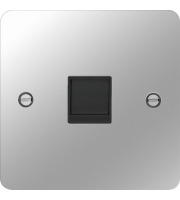 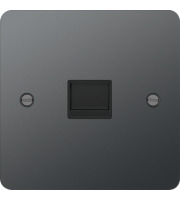 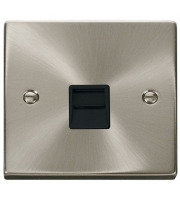 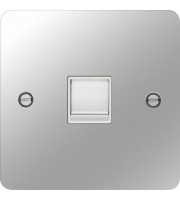 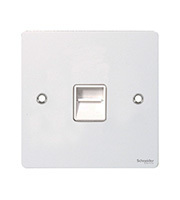 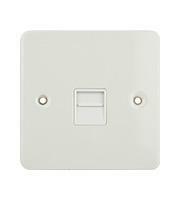 Find a wide selection of metal flat plate RJ45 wall plates online at Direct Trade Supplies. 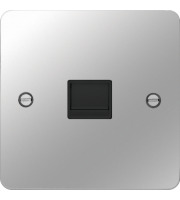 Ideal for a number of installations and available at great prices too. We have a number of products that are suitable for mounting with any wall surface, and work with standard Cat5E and Cat6 ethernet connections. 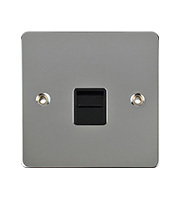 Whether you need to update or expand your existing Local Area Network or want to install one from scratch, you'll find the high quality products needed to do so from our selection. 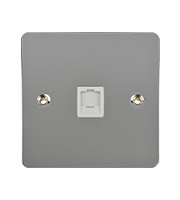 Link up your network easily and safely with the help of metal flat RJ45 wall plates. 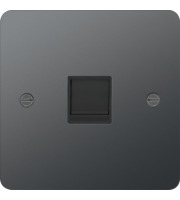 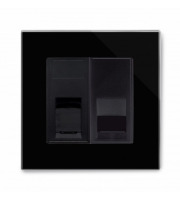 The slim recessed fit renders them unobtrusive but effective, and they are incredibly easy to install. 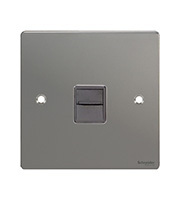 There is no soldering or major electrical work needed - just simply connect the wring using a screwdriver and push the wall plates in place. 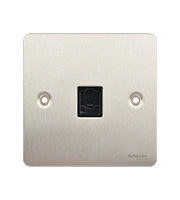 We do carry some screwless models that make even lighter work of fitting your metal flat RJ56 wall plates into your building. 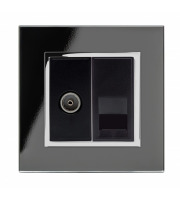 The metal design of these wall plates makes them a sleek addition to any commercial space, plus they are easy to keep clean for simple maintenance. 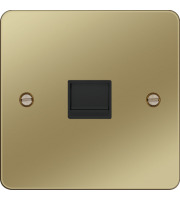 Metal flat RJ56 wall plates are made with durable materials that will last for years, so you don't have to worry about spending time or money on frequent replacements. 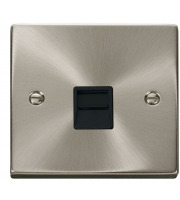 With our easy to use electrical components, you can be up and running in minutes without the help of a professional. 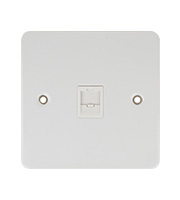 RJ45 plates are a must-have part for your LAN, and you can find plenty of options in a stylish metal finish for less with our selection. 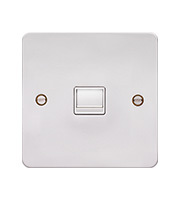 In addition to these products, we also carry plates and jacks, cables, connectors and plenty of other accessories to support your electrical systems. 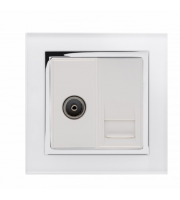 All of the plates and parts we carry have been manufacturer to the highest European safety standards, so you can feel confident about installing them in your buildings knowing they meet the required regulations. 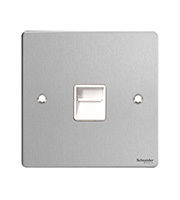 If you're looking to save on metal flat RJ45 wall plates, you can contact our sales department directly on 01752 261211 to enquire about discounts available on large bulk orders.